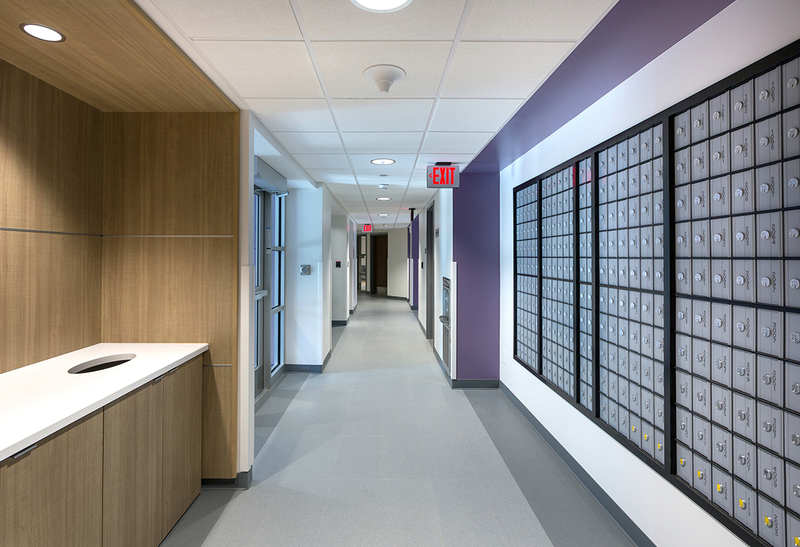 A vintage 1938 residence hall at the University of Northern Iowa has a new, contemporary approach to student housing after the renovation designed by KSQ in association with Rohrbach Associates. 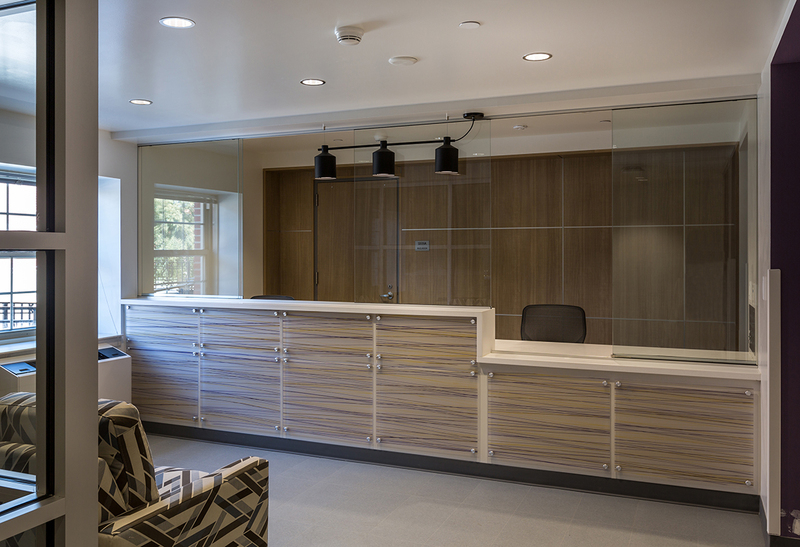 Lawther Hall now provides 393 suite-style beds, as well as a Residence Life Coordinator (RLC) apartment. UNI requests included reusing existing spaces as much as possible while keeping the building’s character intact with features such as the lounge fireplace’s marble header and side panels, crown molding, built-in millwork surrounding the fireplace, wainscot, patterned wallcovering and wood-like flooring. The original stairs were adapted to meet current building codes. 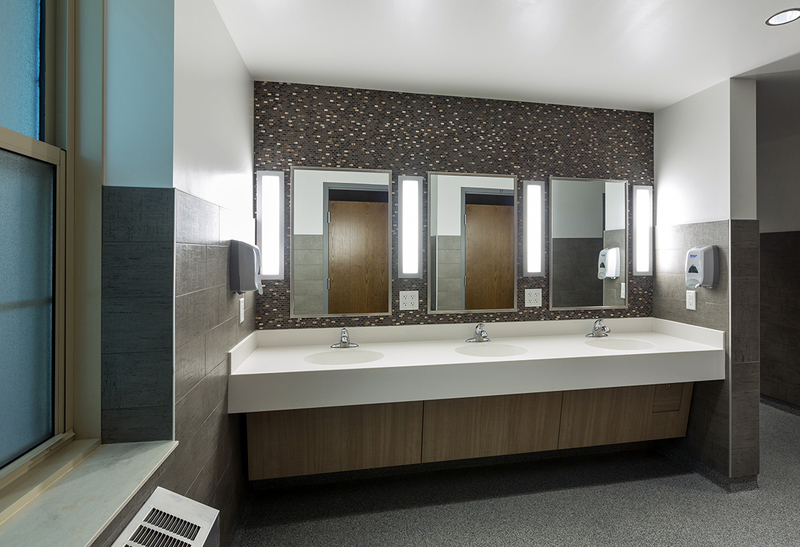 This was achieved while also adding modern fixtures and finishes as well as mechanical and ADA upgrades. 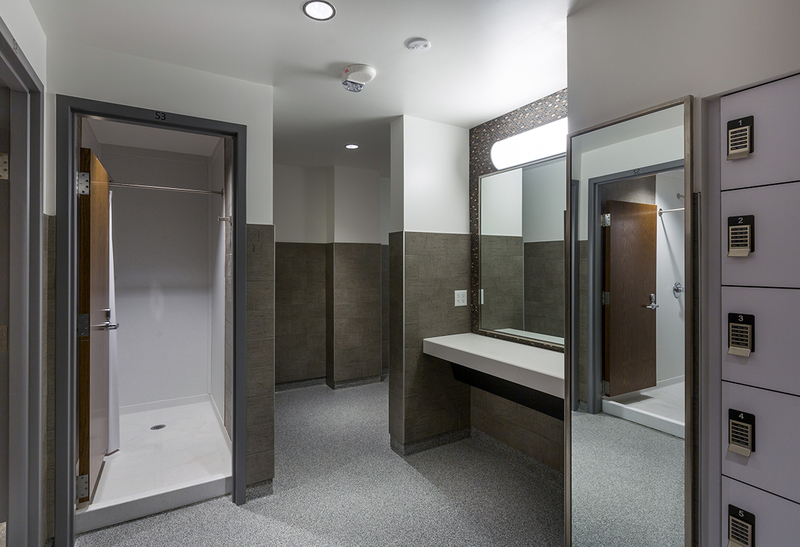 The single and double semi-suites have semi-private baths on each floor, and units without private baths are clustered near updated, more private, community bathrooms. 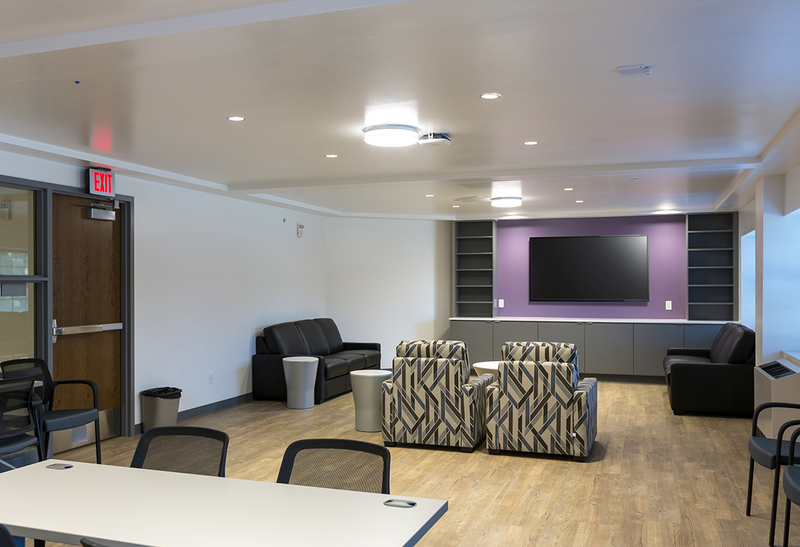 Each floor provides separate laundry facilities, and the first floor offers a community kitchen and multipurpose room for socializing and studying. 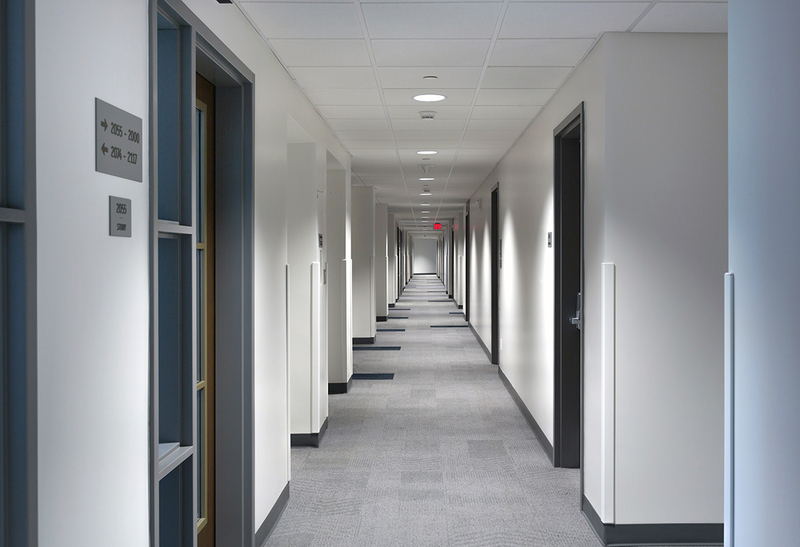 The see-and-be-seen factor is supported by glassy partitions for the student lounges, study spaces, laundry and other student life resources. Completed fall 2017.